We are now offering the what3words feature set within our address validation API. The collaboration between us and what3words means that businesses and users using our local search platform can now find the what3words for a business location, or lookup an address using its 3 word description. With the help of what3words we can assign a three-word ‘address’ to a business location. Three words gives it enough variables to address every point on the planet. This unique combination of three words gives you a precise location for anything, anywhere in the world, anytime. It is a game-changer and it’s backed by some very large transport companies. what3words is the simplest way to talk about location. It has divided the world into a grid of 3m x 3m squares, each with a unique address made from 3 words. This solution helps users who need to find or share a location, such as aid and development, asset management, delivery, post and ecommerce, emergency response, exploration and sport, festivals and events, GIS, national mapping and government, navigation, property search, taxis, and travel industries. If you’re looking for a local business, your first stop should be Cylex, one of the best online local search platforms. As part of Cylex’s integration of what3words, users can now search via a 3 word address, making finding what they were looking for a whole lot easier. As part of the integration of 3 word addresses, Cylex has now added what3words to their search functionality. Users can now use the search bar to locate a particular business, simply by entering its 3 word address into the search field. All businesses registered on Cylex can benefit from this new feature. At the touch of one simple button your 3 word address will be automatically generated based on your location. The 3 word address will also be displayed on your company profile. This way your clients will be able to find your business a whole lot easier. Anyone can search for a business by using its 3 words address. For a more specific localization, start typing in a part of the 3 word address and select your targeted location from the dropdown list. Cylex Local Search is a free online platform for businesses, which puts a great value on one of the most important aspects of local search, ensuring that a business’ information is consistent, accurate and accessible throughout the web. We are on a constant path to develop innovative solutions to help our clients grow their customers’ base and online presence. Now, finding a business around the world is a lot easier with Cylex and what3words. Three simple words for an easier way to communicate precise business locations around the world. Try it for yourself! HOW TO WRITE THE PERFECT QUOTE REQUEST? If you’ve come to Cylex with something to cross off your to-do list, you ended up in the right place. The ‘Cylex Quote Request’ platform, if used the right way, can help you save hours of work. It’s FREE, easy to use, no obligations, fast and absolutely secure. Tell us what you are looking for and we will vet and contact the firms based on your location and the details of your request. To get started, all you have to do is to post a request on our website via our form, and we’ll take it from there. The form consists of 4 specific questions related to the service or product you are looking for. Use just a few words to name what you are looking for. Think of it as the title of your request. E.g. What do you need? 2. Where do you need it? This field is very important because it states the location where you need the job to be effectuated. Start by typing in the postcode or the city and then choose the desired location from the drop-down list. The more info you add the shorter the list gets. It’s very important that you choose from the list your location, this will ensure the companies we contact are really in your area. E.g. Where do you need it? Describe what you are looking for & provide as much detail as possible. Companies are unlikely to respond if you provide a small amount of info. Upload an attachment if that helps and don’t include your contact information in the description of the quote request. Please be as detailed as possible - the more details you provide, the better the businesses can evaluate your request, determine if they are the right fit, and provide you with an accurate offer. 4. When do you need it? You will need to select the due date of your request. When you choose this date, please keep in mind the difficulty of your request because it is possible that some businesses need a little more time to prepare a proper offer for your request. Also, don’t forget that most people don’t work on the weekends or during holidays, so please take into consideration this aspect as well. Add a few days more just to make sure that they actually get to see your request before it expires. Once a quote expires, no one will be able to post an offer. in just 2-3 days. For cases like this, we suggest adding at least 2-4 weeks. Next, all we need is a way to contact you. We will ask for your email address and phone number. While the phone number is optional, it is a great way for providers to get in touch with you quickly (especially if your request is urgent). If it is your first request on Cylex, it is important that you confirm your email address. This is done by clicking on the link within the automated email our system will send you. It’s very important you complete this step. You can choose to log in using your social media account (email confirmation is done automatically) or your Cylex account. If you don’t have a Cylex account yet, don’t worry, we will automatically register you, just complete the fields of the contact form. add images or files if it helps. How ‘Cylex Quote Requests’ works? Every day we have several thousand potential clients who request a quote on our platform. Cylex sends you these quotes when they match your quote request settings. Consider them as the customer’s way to start a conversation with you. It’s now up to you to win them over. It is extremely important that you put the time and effort to differentiate yourself from the others. Carefully read and re-read all the requirements and make sure that you respond accordingly by posting a relevant offer. Make sure you write an individualized message by including the customer’s name and add specific details about the quote. When you greet a customer by name, make sure you spell it correctly. Focus on exactly what they are looking for, customers want to feel heard and not that they are receiving a generic message. Customers want to know why they should buy from you or why they should hire you. Use this opportunity to tell them what makes you great and what sets you apart from the others. Give the customer a price or general estimate and what that price includes. Sending a number is only one part of the equation. You need to let the customer know what is and what isn’t included. Showcase the value you bring to the table. Your profile should reflect the best about your business. Be detailed, tell a great story, include evidence of your past work through images, great reviews, and a well-written description–give customers every reason to choose you. Ask every customer for a review. After your efforts to bring in business, always remember to close the loop. Follow Up - Customer Reviews Matter and you want recent reviews, and as many of them as possible. Be active and try to post an offer or a question as fast as you can. The quicker you reply, the faster your potential customer will be seeing your profile. Start a conversation and showcase the value you bring to the table. To make sure you get the correct quotes and you don’t miss any of them it’s very important to set your quote request preferences and to Opt-in for Email and Browser Notifications. Generally speaking, a quote request is posted when you know exactly what you need. in your area and contacts them. The free service enables you to receive quotations from multiple companies, in a matter of days. Not only is it free for you, but it’s also free for businesses, so you don’t have to worry about companies putting their prices up to cover their costs. Everybody wins! If used the right way, the ‘Cylex Quote Request’ service can help you save hours of work, as you don’t have to contact the companies one by one. But as always, you need to use it the right way. The process is simple, all you need to do is to tell us what you need by filling a form and we’ll get you bids from local pros interested in the job. You can compare your quotes side-by-side, see their prices, reviews and business profiles. Once you’ve finished checking your offers proceed and hire your favourite one. You can chat with the companies, schedule appointments, and once the job is completed, post a review about your experience. Writing helpful reviews that others can learn from is a great way to be an active part of our community, and help everyone have better shopping experiences. If you’ve changed your mind, or you accepted a better offer from outside our platform, you can just close your quote request at any time. Give us a feedback on why you closed the request. Your feedback is highly appreciated and will help us to improve our services. How do I submit a quote request? From our experience and from our clients’ feedback it’s better to add as many details as you can in order for the companies to give you the best and fastest offer. Once filled in, just click on Submit. Cylex will then submit your request for quotation to the selected companies. Is it free to submit a quote request? 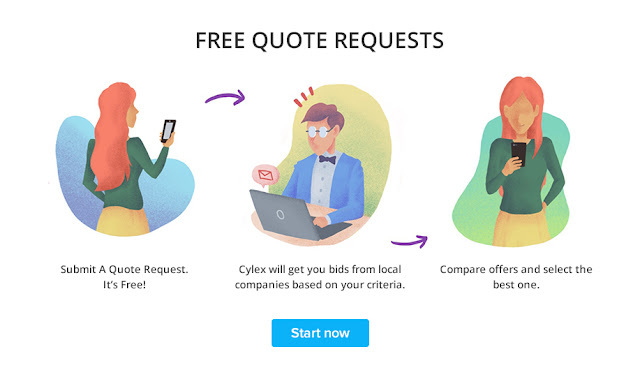 Yes, the ‘Cylex Quote Request’ service is free to use. Do all companies listed on Cylex respond to quote requests? No, it’s up to each company owner if they want to quote through the quote request service or not. e-mail for communication purposes, etc. Can Cylex guarantee that I get high-quality products/services? No, that is way too much to ask for. 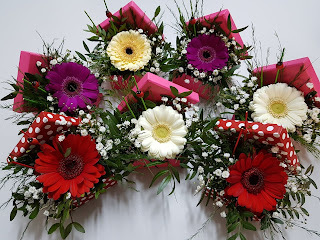 This goes beyond what a quotation service can realistically offer. The ‘Cylex Quote Request’ service is a great matchmaker, but it’s up to you and the company to sort things out. For example, you must provide clear product specifications, otherwise, you will not get what you’ve asked for. Let us do the work for you. Submit a Quote. It’s Free! Finding the right customers for your business is not always so easy. There's a lot to consider: from the location and the size of the job to the type of service or product, the customer is asking for. By setting preferences for the type of requests you want to receive, you can cut down on search time and focus your hard work on the jobs you most want to win. It turns out that a seven-step approach works best for attracting new clients and keeping your existing ones, of course. Fully understanding your industry and having a firm knowledge of your product or service is important to be able to attract interested clients. The people who would be interested in your offerings can see how knowledgeable you are and will seek your assistance. When you set your preferences, put yourself in the customer’s shoes—ask what kinds of jobs you are the most qualified to do and only quote on jobs that fit within those service areas. These are really important for both you and the customer. If the customer is travelling to you, you should be close enough to make that trip worth their while. If you’re coming to the customer, evaluate your travel costs against the job’s value so you can decide whether it’s a project worth quoting. And if you’re receiving too many requests for jobs that aren’t worth the transit cost, it might be time to adjust your preferences. These features are two of the easiest ways to engage with users and their quote requests. Instant delivery – The notifications are delivered in real time to your email address and browser. Increased Engagement – Push Notifications are delivered even when you are not on site. You can re-engage with the user on any browser or email provider. Really successful Pros find a way to assess jobs of different sizes (and price points) in a way that makes sense for their business. Don’t be intimidated if this doesn’t happen right away —reaching the right balance of big and small jobs can take time. The more you use Cylex, the more you’ll learn about your ideal customer. As this understanding develops, keep going back to the drawing board to update your preferences based on those learnings. After your efforts to bring in business, always remember to close the loop. So many leads and great conversations are wasted because you forget to follow up. Doing this simple step is sure to get your client base to grow. Experience the power of customer reviews. Throughout all of the statistics, one fact remains clear: customer reviews matter. Because every day, we have several thousand potential clients who request a quote on Cylex in every kind of category and in your area. We are off-track for a bit when it comes to our usual blog posts. This time, we don’t want to present you a new feature. Today we want you to get to know us a little better. The people behind Cylex. The busy bees, who gather and update data, those who try to improve your user experience daily. We know that everyone should be appreciated all year around. However, since Women’s day is right around the corner, this post is dedicated to the ladies. From data operator and customer support representative through programmer and secretary, the Cylex women are all awesome. These ladies are not only hardworking but also perseverant. Besides offering their best at different projects, handling various tasks while also doing everything to make sure our customers are happy; they also bring a little extra to the table: their creativity and dedication. They are the ones who organize the team building events, the ones who find ways of giving a helping hand to charities, the ones who prepare the shows for the Christmas parties, the ones who come up with such ideas as the yearly Flower Power day that we have… and that’s just a few of the things why we are grateful to them. Without these women, Cylex would be a little less. Less creative, less hearty, less cheerful. Yes, there would also be less chit-chat at meetings, but that is part of the deal, right? Don’t worry guys, we didn’t forget about you either. We have many dedicated men, most of them programmers of course, who work day in day out to make sure our projects run smoothly. They have our recognition and thankfulness as well. Teamwork gets us from point A to point B and that’s the most basic principle that we try to achieve. So, in short, that’s us: the Cylex people. What if you could make sure that customers see the excellence of your business? The newest feature of the Cylex presentation pages can be of help. This feature presents the Food Standards Agency ratings. What do the ratings tell us? They speak about the way in which food is prepared, cooked and stored. They also reflect the cleanliness of the places, where the food is served or sold and the way in which businesses are managed. More and more people rely on the Food Hygiene Rating Scheme (FHRS), thus choosing where to eat or buy food based on the information provided by it. With this in mind, we have created a separate section on each presentation page, where these ratings will be displayed. Why? Because we want to help both customers and businesses. Naturally, this data is essential for customers, because it is a decisive factor. For instance, seeing that according to the FHRS a restaurant has got a good rating is all that it takes to be convinced of the food's quality. Since every company in the food industry has or will have such a rating on the Food Standards Agency's site, it is better for company owners to know about it sooner, rather than later. If your business has received a good rating, it's simple. You'll see that the same rating will be shown on your Cylex presentation page and it will attract even more potential customers while ensuring the trust of your clients. In case your business has got a rating that is not so good, don't get alarmed. You can certainly turn things around. In order to change this rating, you need to get in touch with the Food Standards Agency and ask them to re-evaluate your business. After the rating on their website is changed, we will automatically display the new rating on your Cylex presentation page as well. All in all, this is a great way of showing clients that you truly care about them. What better way of doing that than having quality food, served or sold in a clean environment and displaying the ratings for it? 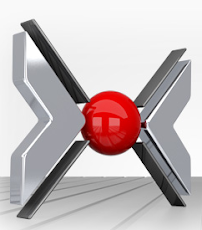 Read our blog to learn about important updates and new features of CYLEX Business Directory!